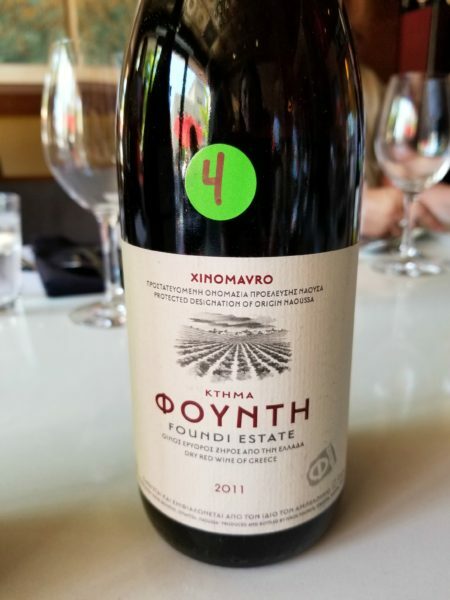 Disclosure: A few weeks ago, I was invited out to a lunch to be introduced to Xinomavro, a wine varietal well known out of the Naoussa Wine Region of Greece. More insight below! One thing I’m learning as I continue to learn and explore wines is that there’s always a new varietal you may not have heard about right around the corner. 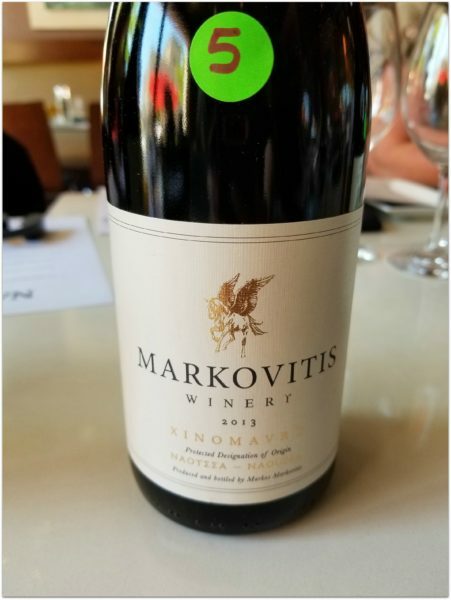 In this case, it was the Xinomavro Grape Varietal, which is the most well known grape varietal being produced out of Naoussa, Greece. This small wine region within Greece has family owned wine grape-growers and owners that strive in producing the best quality Xinomavro Wines out there! They were recognized as a wine growing region of Greece in 1971 with the PDO Naoussa designation. This means those wines with this designation is reserved for those wines produced from select Xinomavro grapes, grown in a specific way and with a specific yield in the approved-growing Naoussa zone. This zone covers a total area of 700 hectares and wines made here are grown according to the traditional Naoussa method. The vineyards are planted at altitudes of 150-350 meters. It is also the last grape to be harvested during harvest season stretching to the end of September. Their prime characteristic is their tannins, which adds structure to this red wine varietal. The high acidity in the wine is great for pairing food such as tomato spiced dishes, beef, pork, lamb, and chicken as well as some cheeses and vegetarian dishes. Their aromas is what will intrigue you with beautiful red fruits of sour cherry, berry or pomegranate along with the contrast of mushroom, smoke, olives, spices or dried tomatoes. When I first sat down that afternoon to try the wines I had no idea what to expect. There were a total of 8 wines involved. All of these 8 wines were part of the PDO Naoussa. 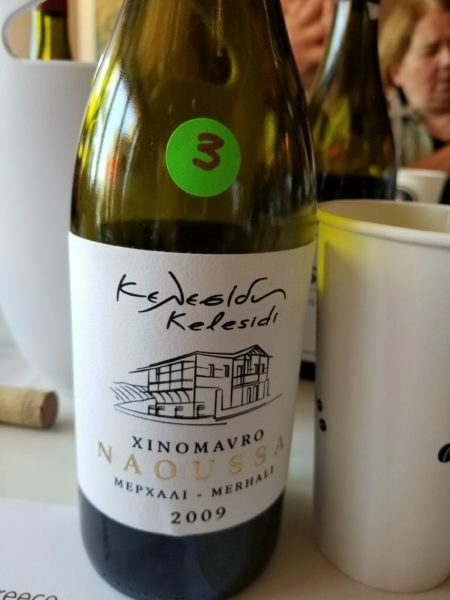 The first wine (2014 Vaeni, Naoussa) stood out to me in that it was a wine created by the cooperative that is made up of 240 growers with less than 1 acre of land dedicated to the Xinomavro grape. In that particular wine they use 3rd and 4th year Oak barrels to truly bring the fruit forward in the Xinomavro wine. The retail value on this wine is just $10.00!! Another wine that truly stood out to me during the tasting was the 2010 Melitzani, Naoussa. What stood out to me about this wine was how easily it was to drink. If I were to have an everyday glass of wine, this would be the wine I’d pick from Naoussa. To me, it was that enjoyable to drink. Not only that, but the complexity truly showed when mixed with food. Other favorites from the tasting that stood out to me included the 2011 Foundi, 2013 Markovitis, and the 2013 Karydas. One thing I love about tastings is the distinct qualities of the wines presented in front of me, but also when a group of wines from one distinct wine region are showcased together, but yet, can taste so distinct from one another. I really got this from the wines of Naoussa. There were the wines that really tried to bring the fruit forward like mentioned in the first wine above, then there were the wines that had more youth on them, and how, as the wines aged (something Naoussa Wines do well) the wines really smoothed out and brought an entirely new element to the wine. Naoussa Wine is a wine worth exploring. 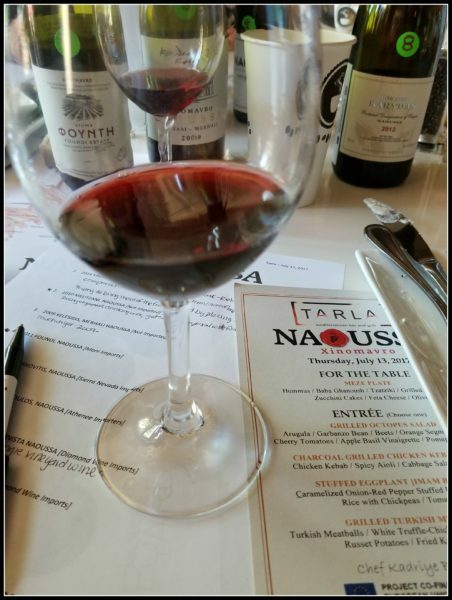 There are 3 distinct classifications of Naoussa Wine: Naoussa Xinomavro Wine, Naoussa Xinomavro Reserve (aged 2 years) and then Naoussa Xinomavro Grande Reserve (aged 4 years). And the best part about these wines? How affordable they are: They retail anywhere from 10 dollars to 15 dollars a bottle.